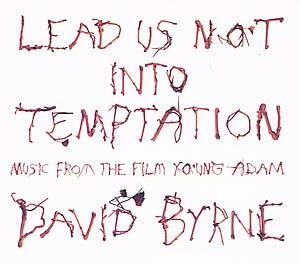 "Lead Us Not Into Temptation is the soundtrack to the film Young Adam, and features original compositions by David Bryne. David was contacted by the team of Hercules and Jeremy (Recorded Picture Company) about scoring the soundtrack to their adaptation of the 1954 novel by Scottish beat writer Alex Trocchi. Instead of using NY or London players, David decided to travel to Scotland to record, assembling a group of musicians from Glasgow in particular. His hope was that the score might then capture the weird tentative vibe that seemed to he emanating from a town that was simultaneously in the midst of a cultural revival and 'drinking to throw up' imbibing. In mixing came the realization that the background sounds of the film were in many cases, an extension of the ambient sounds the band were trying replicate. 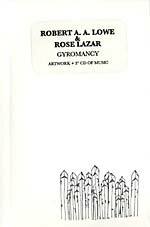 A seamless interpretation of music and film. In many ways the perfect soundtrack. As so often is the case, much of the music is not actually heard on the film, so this record represents another film, one with even less dialogue and a lot more music."